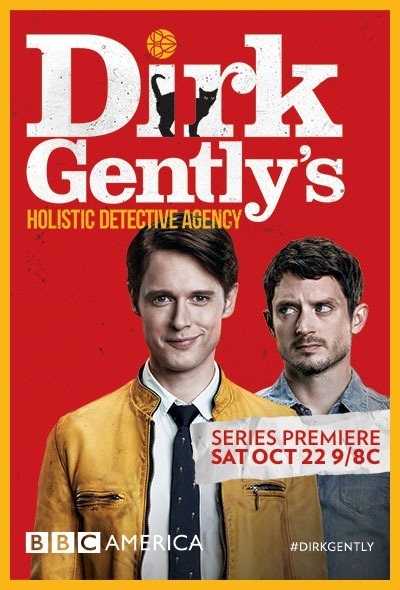 Holistic detective Dirk Gently investigates cases involving the supernatural. Centers on the titular holistic detective who investigates cases involving the supernatural. Based on the "Dirk Gently's Holistic Detective Agency" novel series, written by Douglas Adams and published by Simon and Schuster in 1987. I REALLY wanted to like this program. Unfortunately, I was horribly disappointed - so much so, I quit watching halfway through the first episode. When I hear that something is inspired by Douglas Adams, I have certain expectations: 1. That it will be distinctly weird, 2. That it will be humorous, and 3. That it will be entertaining. This show failed on all of them. Weird: in a way, but mostly in a very "convoluted, over-stuffed with characters and under-populated with any sort of plot" way. My husband called it "too busy", and I have to wholeheartedly agree. Humorous: not so much. I don't think we chuckled more than once or twice, and there were no laugh-out-loud moments at all. Entertaining: not at all. This wasn't worthy of the name Douglas Adams, it doesn't deserve to be mentioned in the same breath as Douglas Adams, it doesn't even deserve to exist in the same universe as Douglas Adams. You are FAR better off reading the books - there were two, as I recall - than trying to sit through this vast disappointment. This show is campy and weird. That's not necessarily an indictment. 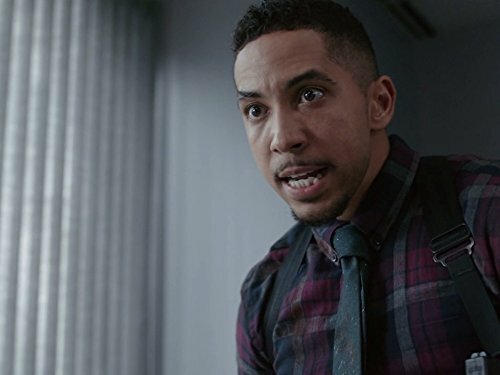 If that's your type, if you liked Dr. Who, I think you would like this show. I did find it somewhat interesting and thought the acting and production values were good. That said, I couldn't watch Dr. Who and I could only make it through two episodes of this one. Things were strange just for the sake of being strange and many of the characters are over the top. I found myself wincing throughout the episodes. I feel like this show is accomplishing what it wants to be but if that isn't your style feel free to take a pass.